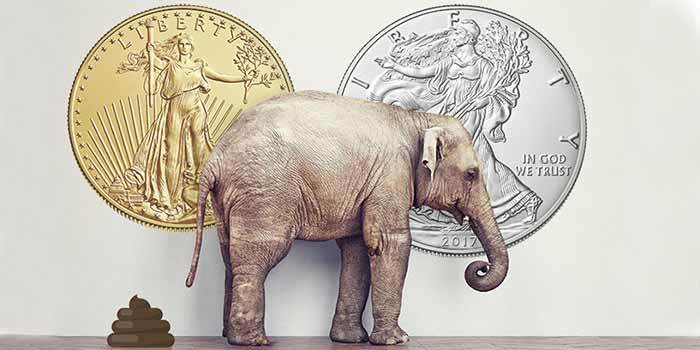 A new survey conducted by the Anti-Counterfeiting Task Force (ACTF) indicates the popular U.S. bullion coins are now leaders in a category their manufacturer would rather not be in – the most frequently encountered bullion coin counterfeits. Some 43.3 percent of U.S. coin dealer respondents to the survey report encountering customers seeking to sell them counterfeit silver American Eagle bullion coins. Similarly, 41.2 percent report customers trying to sell them fake gold American Eagle bullion coins. The most frequently encountered fake foreign gold bullion coins include the South African gold Kruggerand at 30.4 percent, the Canadian gold Maple Leaf at 24.2 percent, and Mexican gold 50 pesos at 20.1 percent. 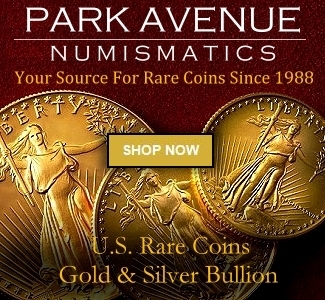 PAMP (Suisse) gold ingots and bars are the worldwide market leader; 57.8 percent of U.S. dealers in the survey reported customers seeking to sell them counterfeit gold PAMP bars and 36.1 percent reported encountering fakes of Australia’s Perth Mint gold bars. For silver, fakes of privately minted bars bearing the logos of the SilverTowne Mint, 24.7 percent, and the private Sunshine Mint (19.9 percent) registered highest in the survey. Among collectible classic U.S. coins, Morgan silver dollars at 71.7 percent led the list of most frequently encountered counterfeits, followed by Trade dollars, 66.6 percent; Seated Liberty dollars, 48.6 percent; Lincoln cents, 35.9 percent; Peace dollars, 33.1 percent; and Early American copper large cents and half cents, 29.7 percent. Among collector gold U.S. coins, 42. 1 percent of the dealers reported counterfeits of the $2.50 gold coin are the most frequently encountered, followed by fakes of $5 gold, 36.2 percent; $20 gold, 33.4 percent; $1 gold, 33.1 percent; and $10 gold, 27.6 percent. Deisher noted it is illegal to possess, buy, or sell counterfeits of U.S. or foreign coins and that most dealers refuse to knowingly purchase fakes. “Dealers tell us they often encounter people who have unknowingly purchased fake coins or bars via the internet or from flea markets thinking they have gotten a bargain because the price they paid is a fraction of the market value of the real items. 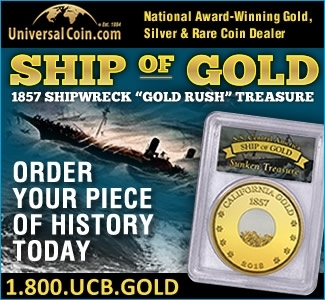 When they attempt to sell their “bargains” to dealers they learn there is no Santa Claus in numismatics. Their fakes are worthless.” Deisher said. She said that dealers also encounter people trafficking in counterfeits who know exactly what they are trying to sell. “The traffickers are quick to leave when they realize they can’t fool the dealer,” Deisher explained. According to the survey, 92.4 percent of the dealer respondents said they rely on their personal knowledge of coins and bars to identify fakes and 60.6 percent use counterfeit detecting equipment to verify their suspicions. Some 41.4 percent report having completed counterfeit detection classes with the remainder having attended seminars or educational presentations detailing deceptive counterfeits in the marketplace. More than 80 percent of the survey participants noted an increase in the number of counterfeit coins and bars entering the marketplace during the past five years. Had the counterfeits they have encountered in the past year been genuine, 28.8 percent estimated the value would have been between $1,000 to $5,000, with 8.4 percent estimating the value at more than $300,000. More than 50 percent of the respondents placed the value between $5,000 and $300,000. More than 68 percent of the dealer respondents reported encountering counterfeits sporadically over weeks and months, while 9.2 percent reported being offered them two to three times a week and 1.9 percent being offered them daily. Deisher emphasized that members of the buying public can best protect themselves from counterfeits by purchasing from knowledgeable, reputable dealers and directly from the government or private Mints that manufacture the coins and bars. The online survey of dealer members of the Industry Council for Tangible Assets (ICTA), the Professional Numismatists Guild (PNG), and the American Numismatic Association (ANA) was developed and conducted June 7 through 14 by the Research Work Group of ICTA’s Anti-Counterfeiting Task Force. The Industry Council for Tangible Assets (ICTA) is a 501(c)(6) non-profit association and is supported solely by dues and contributions. The ACTF is supported solely by contributions. Contributions or gifts to ICTA or ACTF are not tax deductible as charitable contributions. However, contributions may be deductible as a business expense, so please consult with your tax accountant. For those who wish to make a charitable tax-deductible donation, please make checks payable to the Anti-Counterfeiting Educational Foundation and mail to ICTA, P.O. Box 237, Dacula, GA 30019. For information about donating, contact Beth Deisher at (567) 202-1795; email beth.deisher@ictaonline.org. How do I know if my Silver Eagle is a fack? Look for misspelled words on coin. Sorry, I had to. Measure, weigh, magnet test, ring test are the basics.